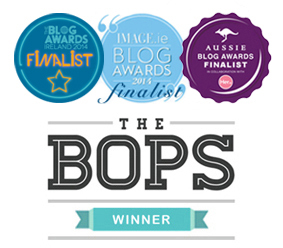 Aussie Blog Award Nominations – We Made It! Can I get an O, an M, and a G please Bob! 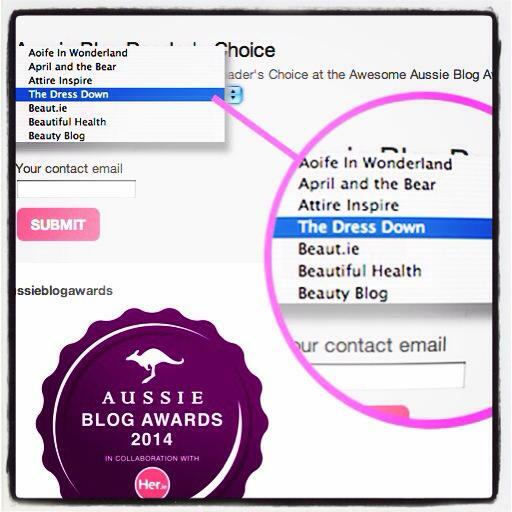 Her.ie announced the nominations for the Aussie Blog Awards today, and I am THRILLED to say I’ve been nominated in the Most Aussome Fashion and Reader’s Choice categories. Thankyouthankyouthankyou to everyone who took the time to nominate me! But you, yes, you!, can help decide my fate in the second category, because that’s reader’s choice. 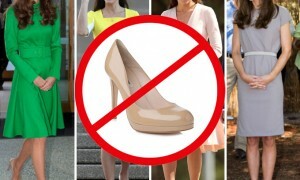 I would be so very grateful if you could take two minutes to click here and vote for The Dress Down. 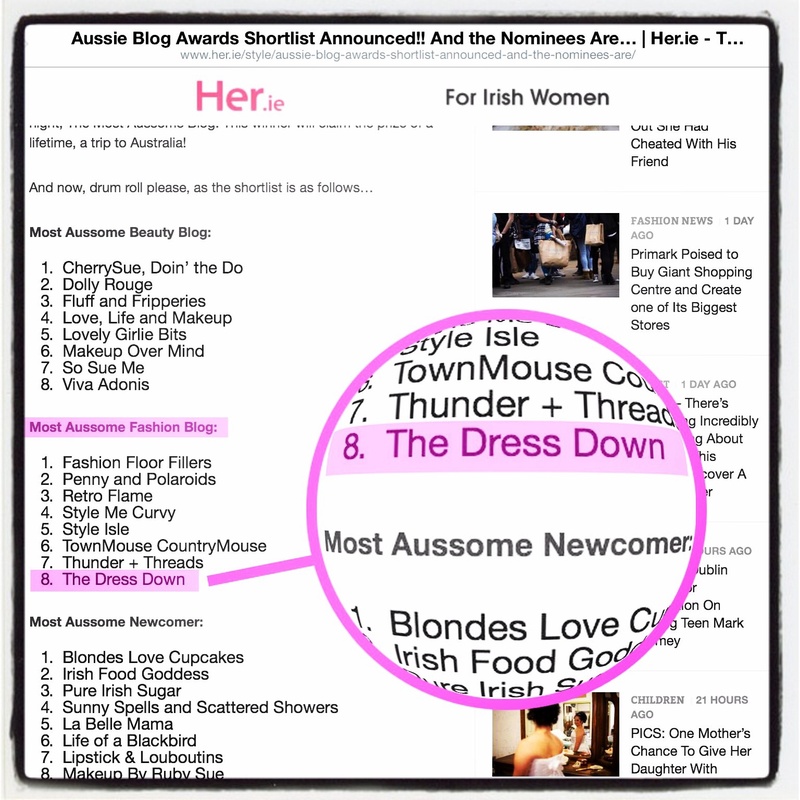 They’ve gone for an intriguing almost-but-not-quite-alphabetical listing, so you’ll find us in between the As and Bs! Thank you for helping me get this far, now let’s bring that hamper of shampoo home! YEAH!